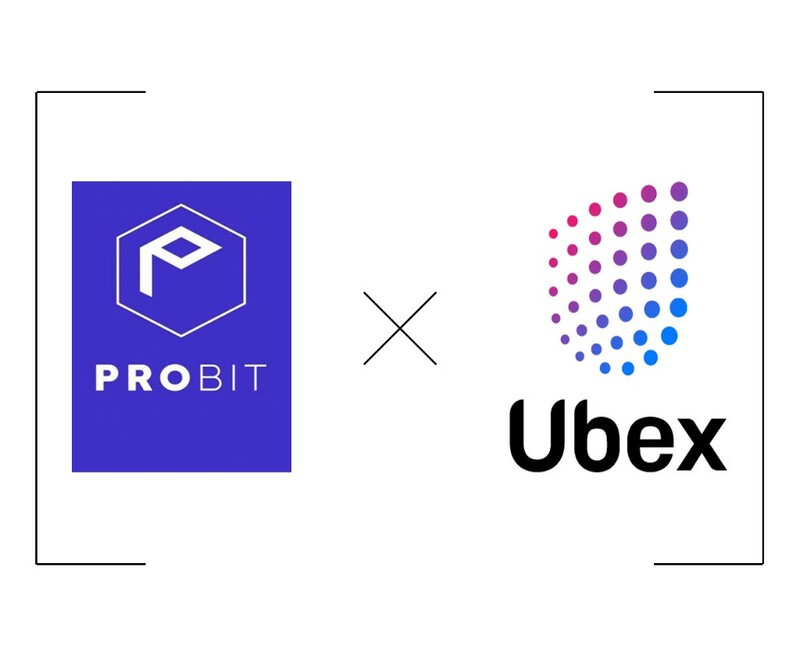 ProBit Exchange (www.probit.com) announced the listing of UBEX. UBEX/BTC, UBEX/ETH, UBEX/USDT pairings will be made available for deposit on 23 Jan 2019 and for trading on 25 Jan 2019 at ProBit Exchange. A total of 9,500,000 UBEX will be distributed to users in proportion to their 1) net purchase and 2) net deposit of UBEX during the event duration. Net purchase of UBEX volume is calculated by buying volume minus selling volume in the duration above. Net deposit of UBEX volume is calculated by deposit volume minus withdraw volume in the duration above. Each account may receive a maximum of 200,000 UBEX in this contest. Two snapshots will be taken to calculate net purchases and net deposits. The first snapshot will be on first minute of listing UBEX/BTC, UBEX/ETH, UBEX/USDT. The second snapshot will be an undisclosed time in February 2019. 2. Trade UBEX, Earn PROB Users who trade UBEX will receive PROB tokens. PROB tokens will be equivalent in value to 80% of trading fees incurred. This is not eligible to users who have paid trading fees in PROB tokens This event is only applicable after the official Trade Mining begins at ProBit. 4 Diamond user will qualify for Premium 3 tier rewards.